Home » Your Personal Sellers » Womens Nike Running Shorts - Black - Lined - sz L - Fast Ship! Womens Nike Running Shorts - Black - Lined - sz L - Fast Ship! 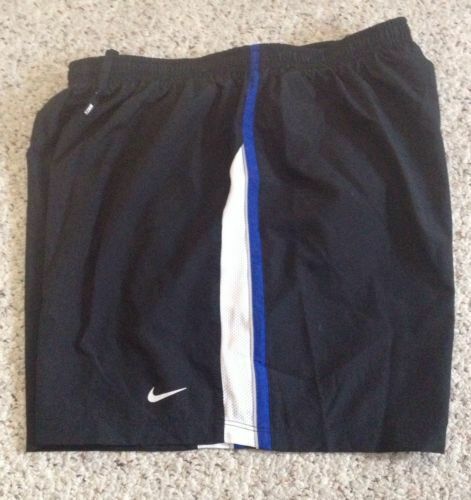 Women's Nike Athletic Running Shorts Color: Black Size: L Features: Lined Measurements: approximately 14" across CONDITION Great pre-owned condition with plenty of wear left. Tiny mark on back (see photo). Hardly noticeable. SHIPPING Quoted to Continental U.S. I ship very fast! RETURN POLICY Two week no questions asked return policy on unwashed and unworn items. Buyer responsible for return shipping costs. Items photographed thoroughly before sent. Must be returned in same condition received.